Tom Hardy will be appearing on the big screen once again this weekend in the highly-anticipated film Venom. In fact, many of the films he’s appeared in have done really well. So, what has all that success done for Tom Hardy’s net worth? Edward Thomas Hardy was born in Hammersmith, London in September 1977. He was an only child and always had a love for acting. Hardy nurtured this love by studying at the Richmond Drama School. He got his start by winning The Big Breakfast’s Find Me a Supermodel competition in 1998. After a brief contract with Models One, he joined the Drama Centre London. However, he was taken out of the acting program early after winning the part of U.S. Army Private John Janovec in the HBO-BBC miniseries Band of Brothers. Many people don’t know that during this time Hardy was also a rapper and hip-hop producer. He worked with his friend Edward Tracy and the pair produced a mixtape in 1999 called Falling On Your Arse. The mixtape remained unreleased until 2018. Hardy made his film debut in the hit war thriller Black Hawk Down in 2001. The following year he gained international exposure for his role in Star Trek: Nemesis. In 2003, he appeared in the motion picture Dot the i, as well as a couple of other films in the United Kingdom. He was awarded the 2003 London Evening Standard Theatre Award for Outstanding Newcomer for performances at the Royal Court Theatre and Hampstead Theatre. He continued to work in the theater and on BBC shows for years. In 2011, he starred in the film Warrior (September 2011) and the movie was a hit. He then appeared in the 2012 film The Dark Knight Rises as the supervillain Bane. You may have also seen him in the BBC series Peaky Blinders since his appearance in Batman. He also landed the major role in the 2015 adaptation of Mad Max. Hardy also appeared in the award-winning thriller The Revenant alongside Leonardo Dicaprio. In fact, he won his first Academy Award for his role in the film. 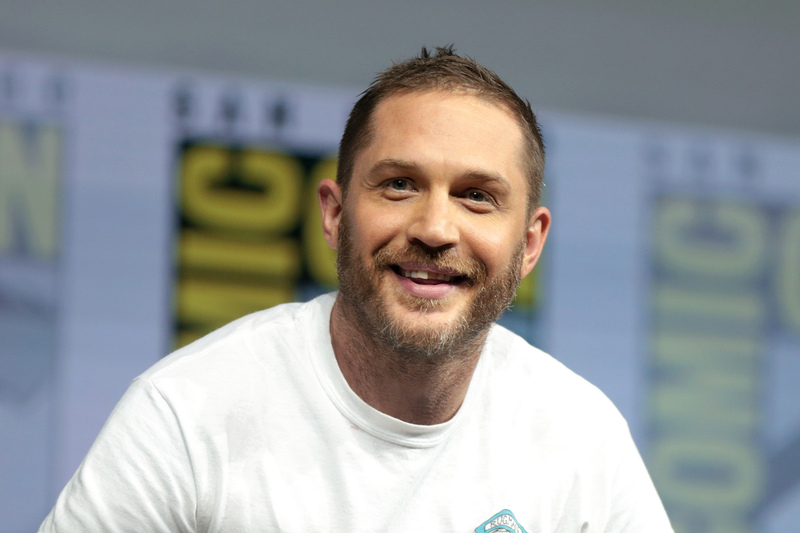 Now, Hardy has landed the lead role in Venom as Eddie Brock. And, in 2019, he’s slated to star in the Al Capone biopic Fonzo. If you’re wondering about Tom Hardy’s net worth after such a successful career, you’re not alone. His net worth has reached an estimated $30 million. There isn’t much known about his annual learnings, simply because he isn’t always on the big screen. Most of his earnings have been through theater and BBC productions. Gross earnings for his major films are listed below. It is important to note Hardy only made a fraction of the earnings from the films listed above. However, he does own an Audi R8 Spyder valued at $160,000. Hardy also recently moved to a $4.6 million home in Southwest London. He was forced to move due to threats from an enthusiastic fan/stalker. Outside of his earnings here, Hardy hasn’t actively endorsed any brands. He is constantly looking for new ways to expand his acting career on stage and on the big screen. There is no telling how Venom may impact his overall net worth, but many fans are optimistic. One thing is for sure, Hardy isn’t going anywhere any time soon. He plans on acting for years to come. Tom is one of the most talented and versatile English actors who has made an impression in Hollywood as well. He may not be the highest money earners, but sure has done variety of roles that are worth remembering. His role as Bane in Dark Knight Rising was an impressive one. Besides, no one can actually tell how much he earns unless he tells them personally. Thanks!